40 Wade was the original Hamley Wade Fork. Very narrow, and set down way low on your horse’s back, which keeps leverage off the horn to the very minimum when doing heavy roping and doctoring. The rawhide bending at the gullet and cantle reduces the wear on the saddle from rope work. 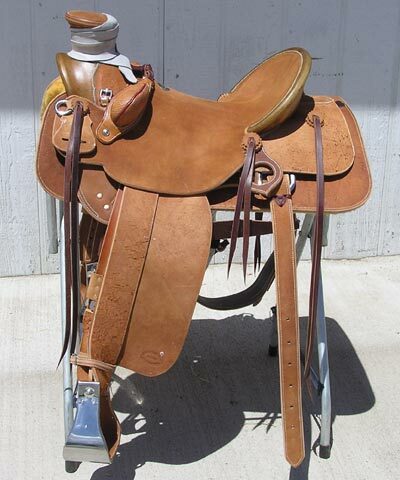 This saddle is made for long days and hard use.